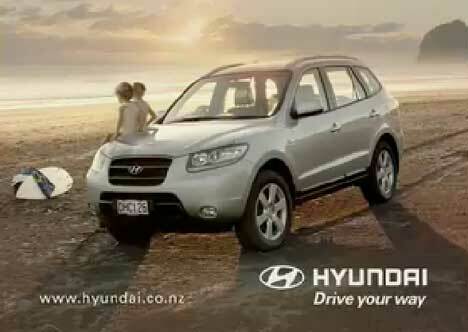 Hyundai Automotive New Zealand promoted the Santa Fe 4WD in 2006 with a television commercial featuring two young toddlers driving to the beach for a surf. The ad was popular in New Zealand, boosting Hyundai’s sales at the time of the Santa Fe’s launch, and was recently voted as New Zealand’s favourite TV ad. A toddler boy, wearing a nappy, climbs out of his cot and grabs the car keys from the hall table. He opens the front door and looks at the Hyundai Santa Fe parked outside. We next see him driving on the road. 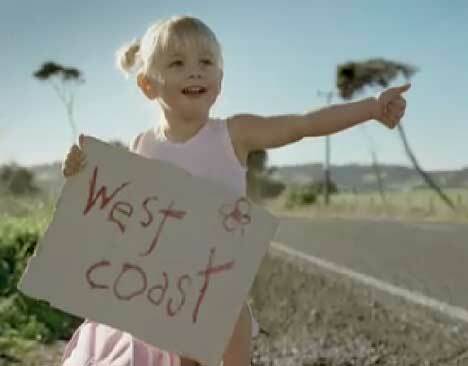 He picks up a toddler girl who’s hitch-hking her way to the West Coast. They drive over the sand dunes and park on the beach. The boy surfs the waves as she watched from the car. The voiceover: “Hyundai Santa Fe, the next generation is here”. Despite the Hyundai Restless ad’s popularity in NZ, there were concerns expressed about the role modelling being shown in the ad. New Zealand’s Advertising Standards Complaints Board considered 71 complaints relating to the ad’s portrayal of underage driving. The Board dismissed the complaints in September 2006, allowing that the commercial was clearly in the fantasy genre and was not shown during children’s programmes. Australia’s Advertising Standards Board was not as forgiving however, announcing on February 22 the decision to ban the Hyundai TV ad from Australian screens. The Board had determined that the advertisement, which has so far attracted more than 80 complaints from members of the public, depicted a driving practice that was in breach of the law, said Advertising Standards Bureau Chief Executive Officer, Mark Jeanes. 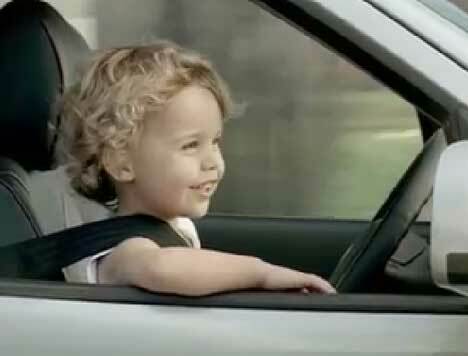 “The Board certainly acknowledged that the notion of a toddler driving a car was unrealistic and fanciful, but under the Advertising for Motor Vehicles Voluntary Code of Practice, fantasy cannot be used when it contradicts, circumvents or undermines the Code,” Mr Jeanes said. “Many of the complaints were from parents concerned that the advertisement would encourage copy-cat behaviour in young children and might lead to accidents,” he said. The Board also held that the wearing seatbelts, instead of approved child restraints, was a matter of safety and a depiction which should not be encouraged. The advertisement has been removed from air in Australia. The Hyundai Santa Fe Restless TV ad was developed at Assignment Group, Auckland, by creatives Howard Grieve and Kim Thorp, with producer Juliet Dreaver. Client service was provided by James Hall and Wendy Schrijvers. Filming was directed by Tony Williams via Sydney Film Company, with producer Maggie Lewis, editor Charles Ivory and director of photography John Blick. In their submission to NZ’s Advertising Standards Complaints Board, Grieve and Thorp give some of the background for the making of the ad. Casting for the spot first focused on 15 – 18 month-olds in Auckland, Wellington. Through contacts in Brisbane Tony Williams came up with Dante Holdsworth, a 2-years-4-months-old boy who had watched enough surfing to know the moves, and Siena Dutson, a 2-years-6-months-old girl. Now they had the challenge of making the children appear a year younger. This was achieved by making the cot larger and dressing the children in nappies. Tony, John and crew made the set very child friendly, only calling Dante on set when the lighting was completely locked down, only shooting when Dante was fresh, and knocking off when it was time for him to sleep. All driving shots of the baby were filmed in a stationary vehicle in a studio, with Dante propped up and forward with cushions. To put his hands on the steering wheel he had to be practically sitting in it. The hitchhiking shot was filmed on a remote country road. 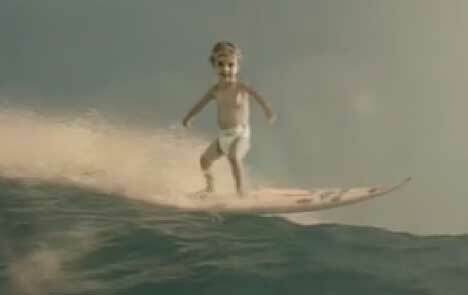 The surfing shots are based on stock footage of adult surfers, with Dante replacing them. Post production was done at Frame, Set & Match by Flame artist Stuart Cadzow and Grader Christine Todd. Music for Hyundai Restless is “The Wayward Wind”, written by Herb Newman and Stan Lebowsky and made popular in 1956 by Gogi Grant in the USA, and Tex Ritter in the UK. The version used here is by Gogi Grant.